Henry Banning Chew was born on December 11, 1800, to Benjamin Chew and Katherine Banning. 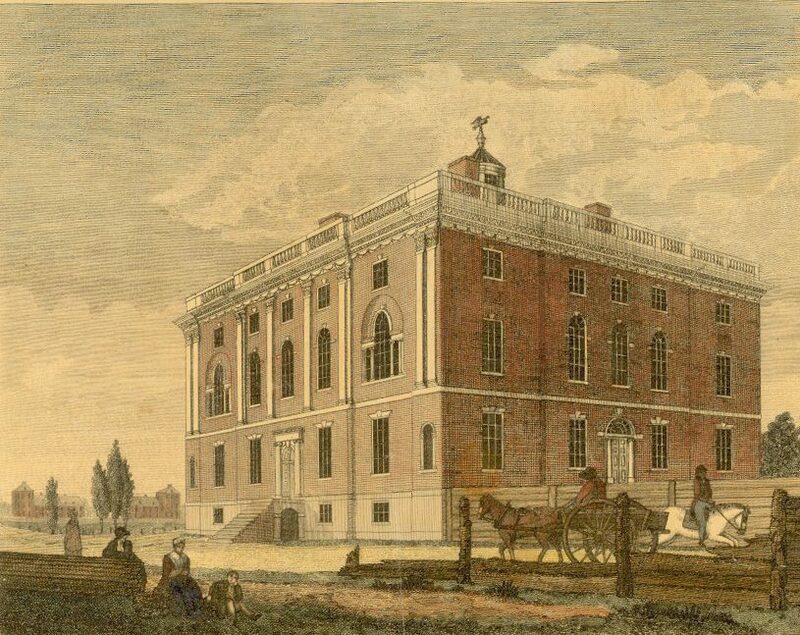 The wealthy Chew family had long-standing and important connections to the University of Pennsylvania. His grandfather, Benjamin Chew (1722-1810), had been a Penn trustee as well as Attorney General and Chief Justice of Pennsylvania; his country seat of “Cliveden” played a central role in the Battle of Germantown, while he himself remained a British sympathizer. Benjamin Chew, Jr. (1758-1844), the son of Benjamin Chew (1722-1810) and the father of Henry Chew, graduated from Penn in 1775 and later served as a trustee of the University from 1810 until his death. During his father’s term as trustee, Henry Chew also attended the University of Pennsylvania. On October 2, 1813, he was one of thirteen founding members of the Philomathean Society, Penn’s first student organization. After graduating, Henry Chew went on to have a successful career as a merchant. He married the daughter of Governor Charles Ridgely of Hampton, Maryland. Years later he became the husband of Elizabeth Ann Ralston, daughter of Robert Ralston, before dying at his home in Epsom, Maryland, on December 12, 1866.